Early on in my career I wasn’t very enthusiastic about collaboration, so much so that when I was studying media composition in college and was given a group assignment I asked to be excused from it. Of course the answer was no and I was therefore obliged to put forth my best effort to cooperate with the group, despite whatever social awkwardness and obsessive compulsiveness I would have to overcome to do so. Fast forward ten years or so into my career and I am now a big advocate of collaboration, in fact I would go so far as to say that some of my best work has been created in a collaborative environment. However for all its merits, one drawback of collaborating with a team is the inevitable hurdle of sharing files created with multiple DAWS. In my work I regularly use as many as 3 or 4 DAWs depending on what I am working on. Unfortunately not all members of my team have all of the programs I do, so I have created a specific workflow that works well for me and I will be sharing that with you in this post. Here is an orchestra session I recorded in Cubase. I need some help comping and editing so I am going to distribute it to a couple of assistants to spread the workload around to complete the edits before I mix. One of my assistants uses Logic Pro another has Reaper. So I am going to need to get this into a format that each of them can work with. To create stems that can be used in each DAW I need to render each track to a single file, essentially gluing every region and take together. The goal is to have each track begin at zero, even if that means a few seconds of silence and end on the last region. The result is a series of audio files that all start and end in the same place. Every program has a different way of doing this, but I am in Cubase so I navigate to the file menu and choose Audio mixdown to bring up the Audio Mixdown window. 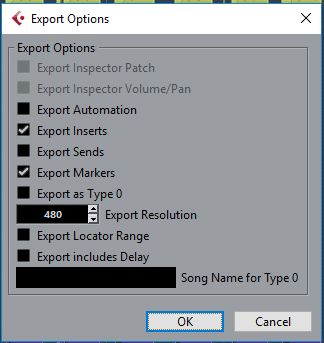 From there I choose Channel Batch Export and select all the tracks I want to export. Important: I also select “mono” mixdown. 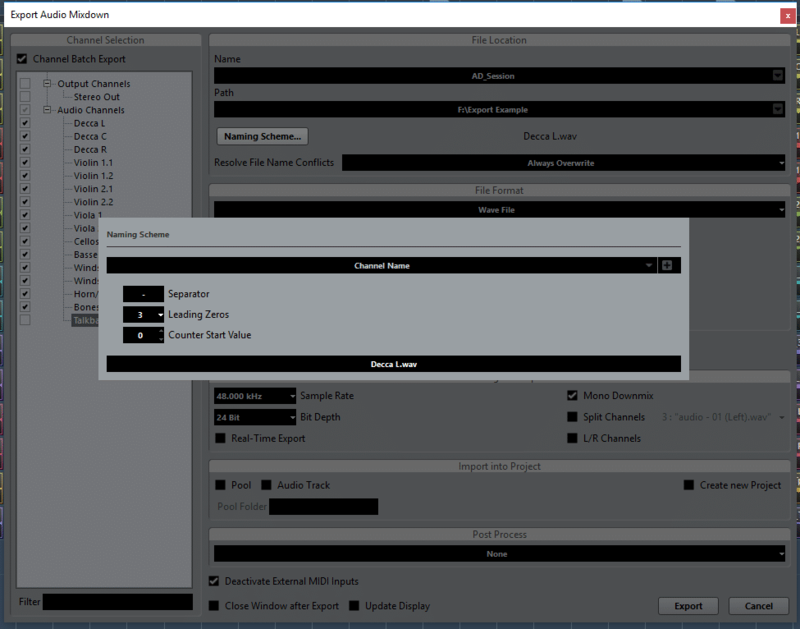 If I don’t do this then Cubase will create stereo files from my mono files which I definitely do not want, so check out how your program deals with mono files on export if you are not sure. For the sake of clarity I will name each stem with the same name as the track it originates from. I always advocate using relevant and descriptive names when setting up a recording template for situations just like this where it is important to know what is what. If you noticed, there are also a few markers in the project. Each marker corresponds to a specific composition so it will be useful for the editors to have those markers. 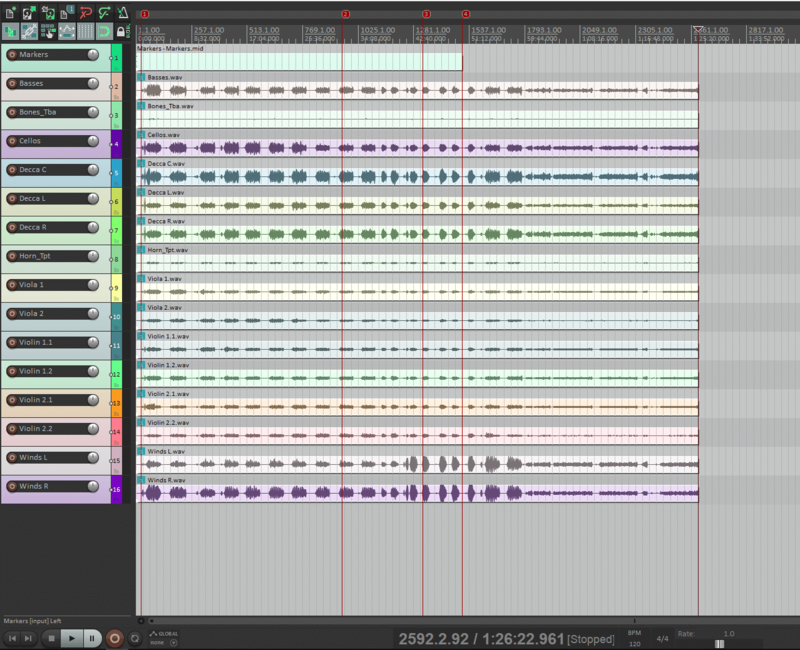 Alternatively, I could have exported stems for each marker, but for the sake of demonstration I won’t do that. Instead I need to export the markers from my session. To do that, I’ll just create a midi track and draw in some random midi data. This midi data itself, isn’t important BUT it will export markers as you will see in a moment. I’ll export a general midi file which will later be imported into Reaper. As you can see, everything imports just as expected into Reaper. Markers and all. 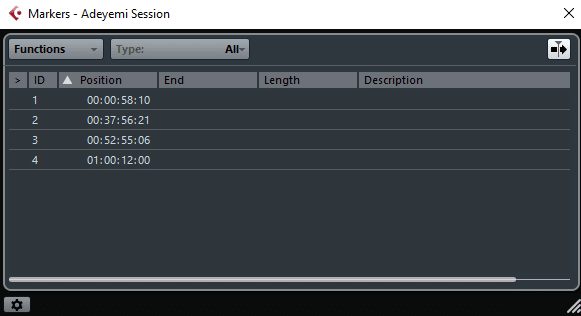 Unfortunately Logic is unable to import markers from midi, though other programs like Cubase, Reaper and Pro Tools have no problem with this so I simply create a screenshot of the markers with timecodes so that my editor can recreate markers in Logic. On that note, it is a good idea to always include both the midi file and the screenshot just to have as a backup. 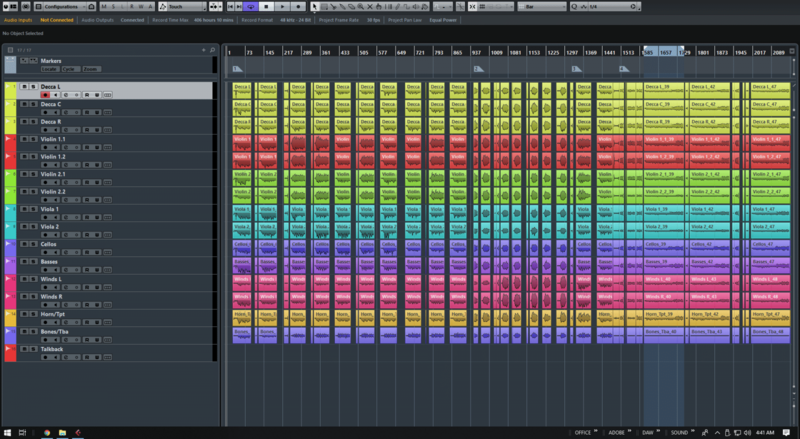 Importing the stems in Logic is no problem at all. To get rid of the silences my editors would use the strip silence and dynamic split features in Logic and Reaper respectively. Whether you need to get a session from one DAW to another for editing and mixing or you want to build a track with a co-producer. Stems can be a powerful, flexible and full-proof way of getting the job done. Combined with midi tracks, you open up the ability to trade markers and allow your collaborators to expand upon your ideas and or create new timbres by using their own virtual instruments. 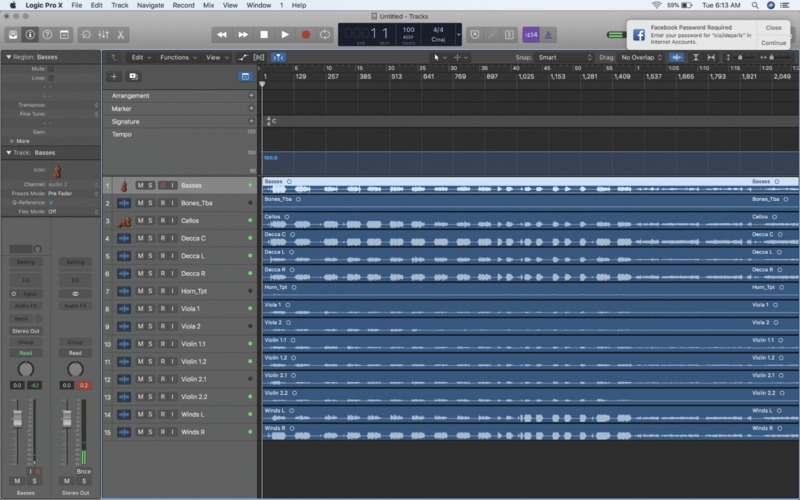 So try it out and experiment with ways of adapting stems to your workflow!